آتش سوزی جنگلی یکی از رایج ترین خطرات اکولوژیکی محسوب میشود که پیش بینی صحیح گسترش آن موضوعی حیاتی در حداقل نمودن اثرات مخرب ناشی از آن محسوب می شود. این پدیده به عواملی از جمله توپوگرافی، پوشش گیاهی و اقلیم بستگی دارد. در میان مدل های موجود مدل های قطعی تجربی که در قالب رستر ارائه شده اند از جمله اتوماتای سلولی، به دلیل سادگی مدلسازی و توانایی در مدل سازی سیستم های پیچیده دارای محبوبیت بیشتری هستند. سیستم های شبیه ساز مختلفی جهت شبیه سازی و پیش بینی گسترش آتش با استفاده از اتوماتای سلولی توسعه یافته اند. کیفیت نتایج حاصل از این سیستم ها علاوه بر میزان پیچیدگی مدل به صحت و اطمینان پارامترهای ورودی نیز بستگی دارد که اغلب این پارامترها، دارای درجه ای از عدم اطمینان هستند. یکی از پیشنهادات سازنده جهت غلبه بر مشکل عدم اطمینان، استفاده از رویکرد دو مرحله ای شبیه سازی می باشد. در این رویکرد، ابتدا کلیه ی پارامترهای موجود در مدل با مقایسه ی نتایج حاصل از شبیه سازی با واقعیت بهینه می شوند، سپس مدل شبیه سازی مربوطه با در نظر گرفتن مقادیر بهینه ی بدست آمده برای پارامترها به شبیه سازی گام بعدی گسترش می پردازد. یکی از مهمترین نکات در طراحی این سیستم استفاده از روش بهینه سازی مطلوب می باشد. در این پژوهش جهت غلبه بر مشکل عدم اطمینان و ارتقاء دقت مدل سازی گسترش آتش سوزی جنگلی و اجرای رویکرد دو مرحله ای از دو روش بهینه سازی ازدحام ذرات و کلونی زنبور عسل برای بخشی از جنگل های استان گیلان استفاده شده است. نتایج حاصل نشان می دهد روش بهینه سازی کلونی زنبور عسل نسبت به روش بهینه سازی ازدحام ذرات، دارای توانایی بالاتری به منظور تولید پارامترهای بهینه ی مدل مورد نظر می باشد. Forest fire is one of the most common ecological hazards whoseproper prediction of spreading is a vital issue in minimizing its destructive effects.This phenomenon depends on factors such as topography, vegetation and climate. Among the existing models, the definite empirical models presented in the form of raster including cellular automata are more populardue to their modeling simplicityand the ability to model complex systems. Different simulation systems have been developed to simulate and predict the spread of fire using cellular automata. The quality of the results obtained from these systems, in addition to the complexity of the model, depends on the accuracy and reliability of the input parameters, most of which have a degree of uncertainty. One of the constructive suggestions to overcome the uncertainty problem is the use of a two-stage simulation approach. In this approach, all of theexisting parameters in the model are first optimized by comparing the results derived from the simulation with the reality, then,the related simulation model will performthe simulation of the next step fire spread by considering the optimal values obtained for the parameters. One of the most important points in designing this system is the use ofdesirable optimization method. In this research, two optimization methods namely Particle Swarm Optimization (PSO) and Artificial Bee Colony (ABC) have been used to overcome the uncertainty problem and enhance the accuracy of forest fire spread modeling and implementation of two-stage simulation approach for a part of the forests of Gilan province. The results show that the Artificial Bee Colony (ABC) algorithm optimization method has abettercapability than the Particle Swarm Optimization (PSO) to produce optimal parameters of the desired model. 1- نوفرستی، سمانه؛ تدین تبریزی، قمرناز؛ کاربرد اتوماتای سلولی در شبیه‌سازی انتشار آتش، اولین کنفرانس ملی مهندسی نرم‌افزار، ص 327-319 . 2-Muzya, A., Nutaro, J.J., Zeigler, B.P., Coquillard, P. 2008, Modeling and simulation of fire spreading through the activity tracking paradigm. 4- Berjak, S., Hearne, J. 2002, An improved cellular automaton model for simulating fire in a spatially heterogeneous Savana system, Ecological Modelling, 148, 133-151. 5- Brun, C., Art´es, T., Margalef, T., Cort´es, A. 2012, Coupling wind dynamics into a DDDAS forest fire propagation prediction system. Procedia Computer Science, 9, 1110-1118. 6- Brun, C., Margalef, T., Cort' es, A. 2013, Coupling Diagnostic and Prognostic Models to a Dynamic Data Driven Forest Fire Spread Prediction System, Procedia Computer Science 18, 1851-1860. 7- Cencerrado, A., Rodriguez, R., Cortes, A., Margalef, T. 2012, Urgency versus accuracy: Dynamic Data Driven application system for natural hazard management, Numerical analysis and modeling, 9,2,432-448. 9- Cheney N.P. 1981, Fire behaviour, A.M. Gill,G.H. Groves and I.R. Noble, Editors, Fire and the Australian Biota, Australian Academy of Science, Canberra, 157-175. 10- Feng, Y., Liu, Y., Tong, X., Liu, M., Deng, S. 2011, Modeling dynamic urban growth using cellular automata and particle swarm optimization rules, Landscape and Urban Planning, 102, 188-194. 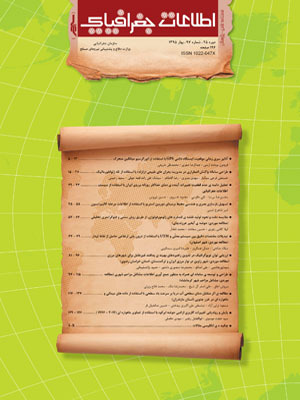 11- Glasa, J., Halada, L. 2008, On elliptical model for forest fire spread modeling and simulation, Mathematics and Computers in Simulation, 78, 76-88. 13- Karaboga, D., Akay, B. 2009, A comparative study of Artificial Bee Colony algorithm, Applied mathematics and computation, 214, 108-132. 14- Karaboga, D.,Basturk, B. 2007, A Powerful and Efficient Algorithm for Numerical Function Optimization: Artificial Bee Colony (ABC) Algorithm, Springer, J Glob Optim, 39, 459-471. 15- Karaboga, D., Basturk, B. 2008, On the performance of artificial bee colony (ABC) algorithm, Applied soft computing, 8, 687-697. 16- Karaboga, D., Ozturk, C. 2011, A novel clustering approach: Artificial Bee Colony (ABC) algorithm, Applied Soft Computing, 11, 652-657. 17- Kennedy, J., Eberhart, R. 1995, Particle Swarm Optimization, IEEE Journal. 18- Alexander, M., Cruz, M., 2013, Are the applications of wildland fire behaviour models getting ahead of their evaluation again? 20- Parsopoulos, K.E. 2010, Particle Swarm Optimization and Intelligence, Advances and Applications, IGI Global. 21- Poli, R., Kennedy, J., Blackwell, T.2007, Particle swarm optimization, Springer Science,Swarm Intell, 1, 33-57. 22- Porterie, B., Zekri, N., Clerc, J., Loraud, J. 2007, Modeling forest fire spread and spotting process with small world networks, Combustion and Flame, 149, 63-78. 23- Quartieri, J., E.Mastorakia, N., Iannone, G., Guarnaccia., C. A Cellular Automata Model for Fire Spreading Prediction. Latest Trends on Urban Planning and Transportation, 173-179. 25- Wong, L. P. 2008, A Bee Colony Optimization Algorithm for Traveling Salesman Problem, in Second Asia International Conference on Modelling & Simulation (AMS), Washington, Computer Society, 818-823. 26- Yongzhong Z., Feng Z.D., Tao H., Liyu W., Kegong L., Xin D. 2004, Simulating wildfire spreading processes in spatially heterogeneous landscapes using an improved cellular automaton model, IGARSS, 40. Proceedings of the 2004 IEEE International, 3374-3374.